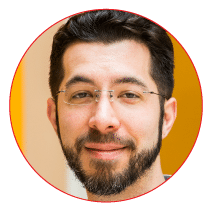 Ed Boyden, PhD, is an internationally recognized scientist who pioneered the development of optogenetics—a revolutionary technique for controlling brain cells through exposure to light. In this exciting talk, Dr. Boyden will discuss scientific efforts to map the brain, control the brain, and therefore understand how the brain works to ultimately cure all brain disease. Dr. Boyden is the Benesse Career Development Professor and Associate Professor of Biological Engineering and Brain and Cognitive Sciences at the MIT Media Lab and the MIT McGovern Institute. He leads the Synthetic Neurobiology Group, which develops tools for controlling and observing the dynamic circuits of the brain, and uses these neurotechnologies to enable systematic repair of intractable brain disorders such as epilepsy, Parkinson’s disease, post-traumatic stress disorder, and chronic pain. Support for this event was provided by the Stavros Niarchos Foundation.